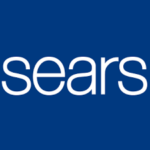 TYLER — Sears in Tyler’s Broadway Square Mall will close its doors for good in December. According to our news partner KETK, this comes as the store’s parent company posted another huge quarterly loss. Sears announced more than 70 store closings in May — and, just last month, another 46. The Tyler store was not on either of those lists then. In May, the mall received zoning approval from the city of Tyler to tear down the Sears building and replace it with new retail space. The store’s liquidation sale starts later this month.